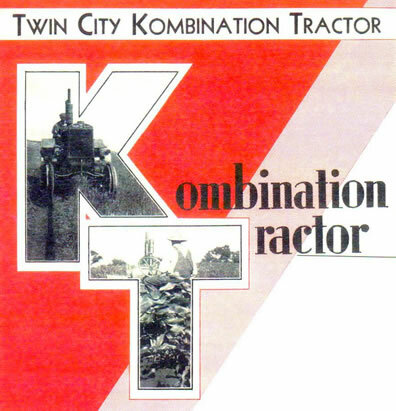 The last tractor designed by Minneapolis Steel & Machinery Company was the “Kombination Tractor”bearing KT part numbers on the three speed chassis. MS&MC’s intention was to provide one machine that could handle all chores around the farm from plowing to belt work along with care of row crops. 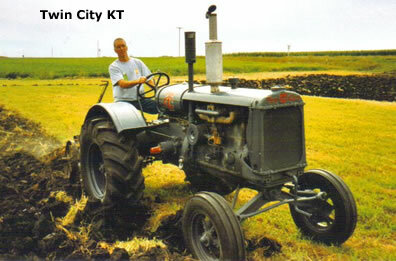 This move towards small universal or row crop tractors had been established by other manufacturers. 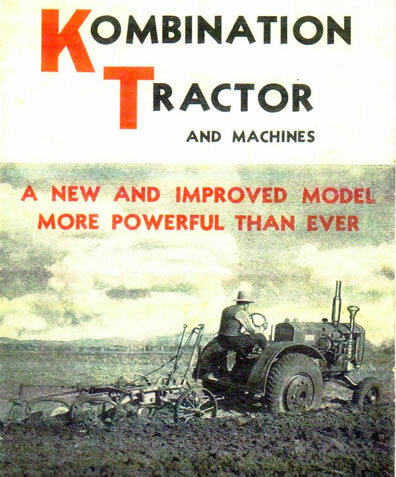 In an effort to compete, the KT was conceived with drop boxes on the short 6 ½ inch long rear axle housings along with an arched wide front axle to gain ground clearance. This design would allow cultivation of three rows by straddling the center row. 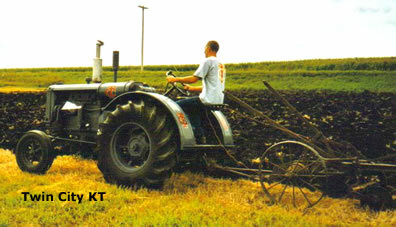 Introduced in 1929 this 5,200 pound tractor carried a three plow rating. The 283 cubic inch engine utilized a bore and stroke of 4 1/4 x 5 and was identified with KE part numbers. Running at 1,000 rpm Nebraska Test number 175 recorded 18 drawbar and 26 belt horsepower from tractor number 300221 in the spring of 1930. American Bosch supplied the ignition and a brass Stromberg UT1 carb and dry type Donaldson air cleaner handled intake duties. 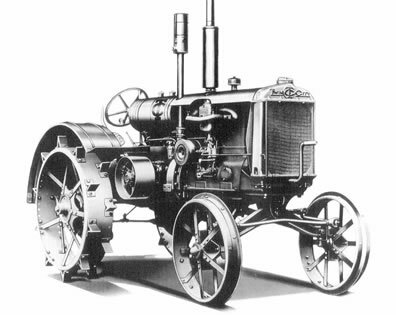 MS&MC was reorganized in the 1929 merger that created Minneapolis Moline Power Implement Co. Future design enhancements to the Twin City KT would be handled by the newly appointed MM. 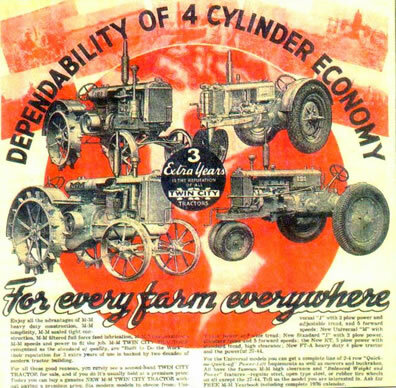 Just over 2,000 KT tractors were produced from 1929 through 1934. A tiny run of industrial and orchard units were produced with no known survivors of these rare machines to date.